As Chairperson of the Security Benefits Fund, I am pleased to provide you with the following information containing important information on the benefits negotiated by your Union and provided through the Fund. It is our goal to have all our members familiar with all the benefits that are provided through the Security Benefits Fund. Please read this booklet carefully and keep it in a convenient place for handy reference in the event that you need to take advantage of its benefits. In addition, should you have any questions concerning the plan or require assistance, please do not hesitate to contact the Fund Office at 212-941-5700. I wish you success and good health in the coming months and years. Dental Benefit – This benefit provides coverage for general dentistry, prosthetics and orthodontia. Optical Benefit – This benefit provides an eye examination and one pair of glasses each calendar year. Maternity Benefit – Effective January 1, 2007, The Fund will reimburse the member $1,000, over and above any insurance benefit received in maternity cases. Adoption Benefit – Effective January 1, 2007, The Fund will reimburse a member up to $1,000.00 towards the cost of a legal adoption. Inner Imaging Full Body Scan – Electron Beam Tomography Screening available to member and spouse. Allowable once every five years. Annual Physical Examination – The Annual Physical Examination is provided by Manhattan Internal Medicine Associates, P.C. The member and spouse are covered at no cost. No voucher is necessary, just call and make the appointment. Visit the link section for contact information. Hearing Aid – The Fund will provide a hearing aid benefit for member and eligible dependents. The benefit is payable once every four years and will be for $400 for each ear to cover the cost for an examination and appliance. This benefit will be offset by any reimbursement from any insurance plan. A claim form is necessary and is available from the Fund Administrator. Supplemental Hospital-Medical Benefit – Effective April 1, 2007, the Fund will make a reimbursement of $100 per overnight stay to any member or spouse who is confined in a hospital up to a total maximum reimbursement of $1,500 per year. The supplemental Hospital-Medical benefit is not payable for Maternity Cases. What happens if there is a change in your family status? The State of New York provides contributions on your behalf to the New York State Court Clerks Security Benefits Fund. *Your unmarried dependent children up to age 19 and up to age 25 if they are full-time students at accredited educational institutions. *Dependent coverage is also extended to any unmarried child, regardtess of age, who is incapable of self-sustaining employment by reason of a mental or physical handicap and who becomes so prior to attainment of age 19 and who resides with and is wholly dependent on the covered member for financial support. You must submit proof of your dependent child’s incapacity to the Fund Office 31 days after the date he/she attains the age at which his/her coverage would otherwise terminate, or within 31 days after you are notified of his/her termination of eligibility, whichever is later. Proof of the continued existence of such incapacity shall be furnished to the Fund Office from time to time as requested. Your dependents are your lawful spouse, registered domestic partner and each unmarried child up to their 19th birthday and who are enrolled by you with the Fund as your dependent. “Child” is defined as a natural child, stepchild or adopted child, provided such child is dependent upon you for support and maintenance, and proof of such (e.g., adoption papers) is provided to the Fund Office. Coverage for a dependent child may be continued up to their 25th birthday if he or she is a full time student in an accredited educational institution, and proof of such (i.e., an original letter from Registrar’s office with raised seal) is provided to the Fund Office within one month of the start of the current semester. If your child reaches age 19 during a school vacation period, coverage will continue, as long as the child is enrolled in an accredited secondary or preparatory school or college or other accredited educational institution, provides written notification that the child plans to resume classes on a full-time basis at the end of the vacation period, and subsequently provides an original letter from the school’s Registrar’s office within one month of the start of the current semester. It is important that you notify the Fund Office immediately of any change in your family status (to add dependents due to marriage, birth or adoption of a child, or to drop dependents due to death, divorce, legal separation, termination of domestic partnership or a child reaching an ineligible age or losing full-time student status and of any change of address. Failure to do so could result in loss or delay of benefits. It is important and to your advantage that you keep the Fund up-to-date on your current status. The New York State Court Clerks Security Benefits Fund provides a full range of Dental Benefits. 1. Self-Insured Plan (Reimbursement), with a participating provider option. Members and their eligible dependents, as defined on pages 2-3 of the section entitled “General Information” are covered. However, only eligible dependent children up to their 19th birthday are covered for orthodontic benefits, all orthodontic work must be completed by the child’s 19th birthday. Click Below for details on each plan. How do Reimbursement Dental Expense Benefits work? Reimbursement Dental Benefits provide scheduled reimbursement for expenses you incur for preventive, basic and major non-orthodontic dental services with no deductible required. What does the plan pay? Who is eligible for the orthodontic benefit? Eligible dependent children up to their 19th birthday, all orthodontic work must be completed by the child’s 19th birthday. How does the orthodontic benefit work? Orthodontic services are reimbursed according to a fee schedule up to a lifetime maximum of $3,442. A period of orthodontic treatment starts on the first day your dependent incurs a covered expense for orthodontia and extends for a period of 24 consecutive months or less if the treatment is completed in less time. The orthodontic benefit is NOT included in the yearly dental maximum. What are covered orthodontic expenses? *The Initial work up: $142 *The diagnosis and insertion of the initial appliance; Once, up to $900*. *$100* per active monthly visit with a maximum of 24 consecutive visits. If your dependent misses a monthly visit, the Fund will not reimburse for that month but it will be counted toward the 24 consecutive visits. *Effective January 2009 Please note that the initial work up and the initial appliance are reimbursed only once during a period of orthodontic treatment. Participating Providers are dental care providers who have agreed to provide covered dental procedures at No out-of-pocket expense to Fund members and their eligible dependents. We have selected participants in the dental care panel who have agreed to accept the Fund’s fee schedule as PAYMENT IN FULL FOR COVERED SERVICES. In addition, we have sought out providers who have treated Fund members in the past. The Fund does not recommend the services of any particular provider. Please remember that Fund members and their dependents are still subject to annual and lifetime coverage limits as specified in the dental plan description. The only time that you will have to make a payment is for procedures that are not covered and for procedures performed after you have reached the annual maximum. If, for any reason you encounter any irregularity or trouble with the services provided by a participating dentist, please contact our Dental Plan Administrator, Daniel H. Cook Associates, Inc., at (212) 505-5050 ext. 229. Also, contact the Dental Plan Administrator if you are charged for any covered service. DO NOT PAY ANY SUCH CHARGE. A listing of all of the PPO dentists will be provided to you by the Fund Office upon request. When a dentist’s charges for a course of treatment will amount to $500 OR MORE, dental services must be authorized by the Fund before treatment is provided. Pre-authorization by the Fund’s dental consultant is required for any proposed course of treatment in which a dentist’s charges will amount to $500 or more. X-rays must be included with treatment plans submitted for pre-authorization. Preauthorization by the Fund’s dental consultant is limited to the approval of the course of treatment proposed; it does not include approval of payment for services not covered under the dental plan, nor is it a determination of the patient’s eligibility or of the amount to be paid under the Fund’s dental schedule. The covered member’s or eligible dependent’s dentist is required to submit x-rays and a treatment plan to the Fund Office for review by the Fund’s dental consultant no later than 30 days after the initial examination. A claim submitted for pre-authorization will be returned to the dentist indicating the preauthorization decision. Your dentist should contact you upon receipt of the claim form. The dentist may proceed to provide dental services as soon as the treatment plan has been authorized by the Fund. The Fund reserves the right to modify or deny payment of claims amounting to $500 or more which have not been approved by the Fund before the beginning of treatment. A dental chart showing work done before the treatment for which claim is made. X-rays, lab or hospital reports. Cast molds or other evidence of the dental condition or treatment. Post-treatment examination of the patient, at the Fund’s expense, by a dentist it selects. How are your benefits affected by the alternate benefit provision? When more than one dental service would provide suitable treatment, your benefits will be based on the treatment determined by the Fund to be best suited to your condition by accepted standards of dental practice. If two services provide satisfactory results according to accepted standards of dental practice and one service is less expensive than the other, the Fund will reimburse up to the scheduled allowance for the less expensive treatment. Dentcare (Healthplex), a DMO, is a prepaid, insured dental plan provided by Dentcare Delivery Systems. Under this plan, services are provided by Dentcare’s network of dentists. How do you enroll for the Dentcare Plan? On an annual basis through the Fund Office. All members will be notified of the open enrollment period. How do you select a dentist? You must choose from a listing of Dentcare’s affiliated providers. This selected dentist will service you and your eligible dependents. You must use an affiliated dentist in order to receive benefits under this plan. Should you or your eligible dependents go outside the Dentcare network, you will be fully responsible for any fees incurred. Referrals to Dentcare screened specialists are handled only through your Dentcare affiliated provider either at his/her office or at conveniently located sites. Do you have to change dentists if your present dentist is not a listed provider? Yes. It is important to note that under this option, care provided by a non-participating dentist is NOT covered, unless arranged for by Dentcare. Can we change our Dentcare dentist? Yes, but only during an open enrollment period. Is there a claim review procedure? Yes. Pre-certification by a Plan Dentist with the approval of the Dental Plan Director is necessary before any prosthetic services will be provided. *Any dental services which were not rendered, prescribed, arranged, or approved by plan dentist except in cases arising out of a dental emergency. *General anesthesia. *Consultation by non-Plan Dentists unless specifically directed by Dentcare. *Any dental procedures which are undertaken primarily for cosmetic reasons. *Any service or appliance unless required in accordance with accepted standards of dental practice. *Prosthetic benefits are not covered where in the view of the Plan Dentist, sound restorations can be achieved by amalgam or alternative methods. *Replacements or substitutions of appliances supplied by Plan until five (5) years have elapsed. *Services or appliances used solely as an adjunct to periodontal care or for some cosmetic purposes. *Implants, sealants and other services not listed in the Schedule of Benefits. *More than two (2) oral examinations and oral prophylaxis (cleaning, scaling and polishing of teeth) per member per year. (Once every six months). *Orthodontia – Lost or Broken Appliance – There is a charge of $100.00 to replace appliance under the Comprehensive Option. *Broken Appointments – If specified by Plan Dentist for appointments not canceled 24 hours in advance, there is a $30.00 charge. *Dentures, crown, inlays, onlays, bridgework or other appliances or procedures altering vertical dimension, restoring or maintaining occlusion, splinting or replacing tooth structure lost by abrasion or attrition, or treatment or a temporo-mandibular joint disturbance. *A new denture or bridgework if the existing denture or bridgework can be made serviceable. *Orthodontic services for eligible dependent children consisting of the necessary diagnosis and treatment of class 2 and 3 malocclusions which cause interference with normal function. Members and eligible dependents, (children to age 19 or up to age 25 if they are full-time students). The Fund offers many options: Vision Screening of Long Island, General Vision Services (GVS), and Vision Care Centers for all active members and their families. GVS now includes General Vision, Select Cohen’s Fashion Optical and Vision World Stores, S H Laufer, Sterling Optical, Eye Supply, Lens Lab Express and many popular optical outlets making them the largest 3rd party optical company in our area. An optical voucher is required when obtaining your optical service benefits from the GVS network. Please call one of the listed optical locations in the GVS brochure for an appointment. For member locations in Florida, Connecticut, New Jersey and Upstate New York, please call 1-800-VISION or visit at www.generalvision.com. In addition to GVS, members may choose from either the Vision Screening network or the Vision Care Centers. An optical voucher must be obtained from the union office before visiting either of these network providers. Please note that any member may visit any other optical provider not in the above networks and that member will be reimbursed up to the newly increased maximum of $175* upon the submission of a receipt. All active Court Clerks and their eligible dependents enrolled in the fund. Amount of the Death Benefit? -$5,000 death benefit for each eligible dependent child of an active member. If the member wished to change his/her beneficiary designation, he/she can do so by requesting a change of beneficiary form from the Fund Office. The Fund will reimburse a covered member in the amount of *$1,000 per birth. To apply for this benefit, a copy of the birth certificate or a statement from the hospital, must be filed with the Fund Office. The Fund will reimburse a member *$1,000 per family for costs associated with the adoption of a child, providing adopted child has no previous family relationship to either parent. Adoption must be through a licensed adoption agency accredited in the United States. Only one claim and one payment of *$1,000 per annum will be paid. This benefit provides reimbursement to a member and eligible dependents of up to $400 for each ear for a hearing aid device prescribed by a physician or audiologist. This does not include batteries or repair, only the hearing aid itself. The benefit will be available every four years and will be offset by any reimbursement from any insurance plan. A hearing aid claim form is available from the Fund Administrator. The Trustees of the Security Benefit Fund have reached an agreement with Inner Imaging and the Continuum Heart Institute at Beth Israel Medical Center. Members and Spouses may choose to receive the (EBT Body Scan) through Inner Imaging and the Continuum Heart Institute at Beth Israel Medical Center. Beth Israel Medical Center is open Monday-Friday 7:30am to 6:30 pm, with some Saturday hours available. The phone number is 212-991-5445. The exam cost for Member and/or Spouse will be covered for the Heart, Lung scan and also for the Heart, Lung, Abdomen, and Pelvis screening. The balance will be paid by the Court Clerk Benefit Fund. Non-Union members have paid upwards of $800 – $1,200 for this procedure. This benefit will be provided once every five years and will count toward your eligibility for the Manhattan Internal Medicine Associates, P.C. for the year that it is utilized. The Annual Physical Examination is provided by Manhattan Internal Medicine Associates, P.C. The member and spouse are covered at no cost. No voucher is necessary, just call and make the appointment. Visit the link section for contact information. Your Health Care ID is necessary, the association covers the co-payment. The Heartscan Services screening benefit is free and available to active and retired members and their spouses. Heartscan Services provides five preventive screens that focus on early detection for Heart disease (echocardiogram-), stroke (carotid doppler), thyroid cancer (nodules), vascular disease (ABI) and abdominal aortic aneurysm (AAA). The preventive screening takes about 45 minutes, is non-invasive and is available to our active and retired members and spouses every year. When a member, spouse or domestic partner is confined in a hospital, the Fund will provide an allowance of **$100 per overnight stay up to a maximum of **$1,500 per year. This amount is in addition to any allowance provided by Blue Cross. The Fund will reimburse on a per stay basis. The maximum allowable benefit is**$1,500 per year. To file a claim for this Supplemental Hospital-Medical Benefit the member should submit to Cook Associates, a copy of the hospital bill which will reflect the name of the patient and the period of confinement. This benefit does not cover a maternity stay at the hospital. The claim must be filed within 90 days of the date of release from the hospital. When benefits would be payable under more than one group plan, benefit payments will be coordinated so that the total benefits paid under all group plans will not exceed 100% of the total amount charged. If you and your spouse are both members of the New York State Court Clerks Security Benefits Fund and eligible for benefits, your benefit payments will also be coordinated not to exceed 100% of the total amount charged. Submit your claim to the Fund office. After you have received payment from the Fund, you may submit a claim for the unpaid balance to the other group plan under which you are eligible for benefits. You will receive any additional benefits, which may be due for this claim under the second plan. The total amount you receive for the claim from this Fund and from any other group plan cannot exceed 100% of the total amount charged. Your spouse must submit a claim to his or her plan first. After the claim is paid by your spouse’s plan, a claim for the unpaid balance may be submitted to this Fund along with an explanation of benefits received from the other plan. Any additional benefits, which may be due for this claim, will be paid by this Fund. The total amount paid for the claim from any group plan under which your spouse is eligible and from this Fund cannot exceed 100% of the total amount charged. Submit this claim to the plan of the parent whose birthday (month and day only) occurs first in the calendar year. After the claim has been paid by the first plan, it may be submitted to the second plan along with an explanation of benefits received from the first plan. The payment you receive for the claim from both plans cannot exceed 100% of the total amount charged. Submit the claim to the plan which covers the parent with custody first. After the claim has been paid by the first plan then it may be submitted to the second plan along with an explanation of benefits from the first plan. Submit the claim to the plan which covers the step-parent second. Submit the claim to the plan covers the parent without custody last. If there is a court order which establishes financial responsibility for the medical, dental or other health care expenses of the child, submit the claim to the plan which covers the parent with the court ordered responsibility first. A copy of such court order must be submitted with your claim. The benefits provided by this Fund may, from time to time, be changed, modified, augmented, or discontinued by the Board of Trustees. The Board of Trustees adopts rules and regulations for the payment of benefits and all provisions of this booklet are subject to such rules and regulations and to the Trust indenture, which established the Fund and governs its operations. Your dependents’ coverage will also terminate when they are no longer your eligible dependents. Active member benefits under this plan have been made available by the Trustees and are always subject to modification or termination in the exercise of the prudent discretion of the Trustees. No person acquires a vested right to such benefits either before or after his or her retirement. The Trustees may expand, modify or cancel the benefits for active members; change eligibility requirements or the amount of the direct payments; and otherwise exercise their prudent discretion at any time without legal right or recourse by a member or any other person. If a covered member or dependent is injured through the acts or omissions of a third party, the Fund shall be entitled—to the extent it pays out benefits—to reimbursement from the covered member or dependent from any recovery obtained. Alternatively, the Fund shall be subrogated, unless otherwise prohibited by law, to all rights of recovery that the covered member or dependent may have against such third party arising out of its acts or omissions that caused the injury. Subrogation means that the Fund becomes substituted in the injured person’s place to pursue a claim for recovery against the third party. To take all reasonable steps to affect recovery from the responsible third party and to do nothing after the injury to prejudice the Fund’s right to reimbursement or subrogation, and to execute and deliver to the Fund Office all necessary documents as the Fund may require to facilitate enforcement of the Fund’s rights and not to prejudice such rights. All rules are uniformly applied by the Fund Office. The action of the Fund Office is subject to review only by the Trustees. A covered member, eligible dependent or beneficiary may request a review of action by submitting notice in writing to the Board of Trustees, New York State Court Clerks Association, 170 Duane Street, New York, New York 10013. In addition, the appellant shall provide any documentation to support his or her claim. The Trustees shall act on the appeal within a reasonable period of time and render their decision in writing, which shall be final and conclusive and binding on all persons. 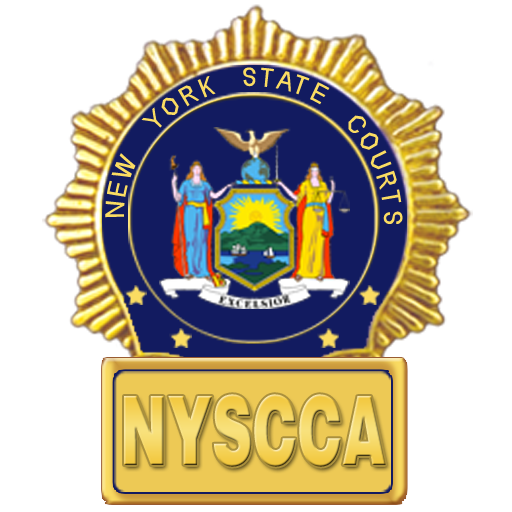 The New York State Court Clerks Association Security Benefits Fund is administered by the Board of Trustees which has been designated as the agent for the service of legal process. All contributions to the plan are made by the State of New York in accordance with their collective bargaining agreement with the New York State Court Clerks Association. The Collective Bargaining Agreement requires contributions to the Fund at fixed rates per year worked. Benefits are provided from the Fund’s asset which are accumulated under the provisions of the Collective Bargaining Agreement and the Trust Agreement and held in a Trust Fund for the purpose of providing benefits to covered participants and defraying reasonable administrative expenses. Some of the benefits are provided through insurance policies. All the types of benefits provided by the Fund are set forth in the Outline of Benefits of this booklet. The complete terms of the insured benefits are set forth in the group insurance policies or contracts with the organizations. The complete terms of the self-insured benefits are set forth in the Fund Rules and Regulations. As someone who is eligible for benefits from this Fund you are no doubt aware of the fact that the benefits are paid in accordance with plan provisions out of a trust fund which is used solely for that purpose. If you have any questions or problems as to benefit payments, you have the right to get answers from the Trustees who administer the Fund. Nothing in this statement is meant to interpret or extend or change in any way, the provisions expressed in the Fund or insurance policies. The Trustees reserve the right to amend, modify or discontinue all or part of the Fund whenever, in their judgment, conditions are warrant.